I receive quite a bit of emails from a caucus group in the Oklahoma Conference named Mainstream United Methodists. I have recently received several emails from them about a handout that they were planning to distribute at General Conference. I have been away from my office for two weeks due to the birth of my first child, so I just got an email with final details about the handout and distribution of it. In the email there was an attachment that had the first page of the handout. Out of curiosity I opened the attachment. The front page prompted me to track down the entire handout, which you can find on the MUM website here. As someone interested in Wesley Studies and preparing to enter SMU’s PhD program in the History of the Christian tradition in the Fall, and as someone who is a pastor in the Oklahoma Annual Conference, I wanted to comment on a few things that I think are inaccurate or unhelpful about this handout. My intent in doing this is not to start a fight or be disrespectful, but simply to clarify some misunderstandings about John Wesley and his relationship to the quadrilateral. I also want to clarify upfront that I am not involved in any other caucus group. My interest is not in defending the Institute on Religion and Democracy, which the handout is very critical of. Rather, my concern is that in reacting to things that MUM does not like about IRD, they seem to misrepresent Wesley in the interest of scoring points against IRD. Wesley’s Quadrilateral is the center piece of United Methodism. Found in the introduction of Wesley’s forty-four sermons, it has provided a balanced doctrinal perspective for over 200 years. Scripture, Tradition, Experience and Reason are valuable tools that guide inquiring minds and open the doors of spiritual mysteries. How can a pilgrim of the Way negotiate the treacherous waters of 21st century faith without them? These four guidelines help extract Biblical and theological truths for Jesus’ followers. A growing number of scholars and theologians of various backgrounds tuck these “helps” in their tool belts. For Methodists, the Quadrilateral is a common denominator. It’s part of who United Methodists are. 2004 General Conference “editors” moved scripture to first and foremost on the quadrilateral. The next attempt will be to move to Sola-Scriptura, “Scripture Alone.” This is AWAY from John Wesley’s instructions. “Do away with Wesley’s Quadrilateral? Second, I think the first sentence of this article is a reach: “Wesley’s Quadrilateral is the center piece of United Methodism.” I confess to not having the time to research this fully, but I am fairly confident that this statement is not one that is found in the Book of Discipline. If there is a center piece of United Methodism, I would think it would be something more along the lines of the UMC’s mission to “make disciples of Jesus Christ.” Elevating the Quadrilateral to “center piece” status would seem to be on the verge of another form of fundamentalism that is not helpful to the current context of polarization and mistrust. This is not to say that Scripture, tradition, reason, and experience are not important norms for theological reflection. As a United Methodist pastor I think that they are absolutely important norms. However, I do not think the Quadrilateral should be lifted up as the center piece of Methodism. 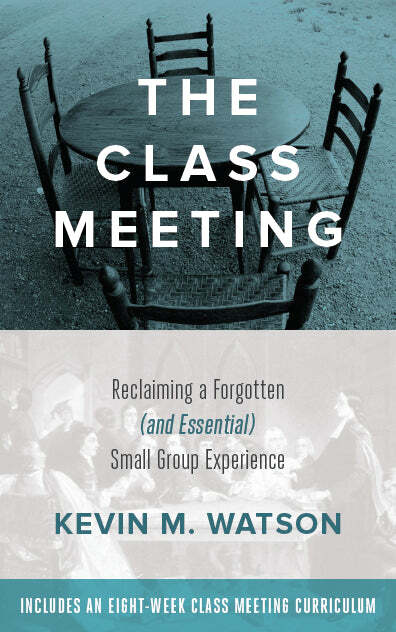 I think the Discipline highlights a preferable aim for Methodism “to summon people to experiencing the justifying and sanctifying grace of God and encourage people to grow in the knowledge and love of God through the personal and corporate disciplines of the Christian life” (45). In the second sentence, we are told that the Quadrilateral is found in the introduction of Wesley’s forty-four sermons” and that “it has provided a balanced doctrinal perspective for over 200 years.” I am not sure what introduction is being referred to, but I am guessing it is the introduction that Outler wrote for his 1964 collection of Wesley’s works. The Quadrilateral is certainly not mentioned in the Preface that Wesley wrote for Sermons on Several Occasions. On the other hand, in that Preface Wesley did write, “I want to know one thing, the way to heaven – how to land safe on that happy shore. God himself has condescended to teach the way: for this very end he came from heaven. He hath written it down in a book. O give me that book! At any price give me the Book of God! I have it. Here is knowledge enough for me. Let me be homo unius libri [A man of one book]. Here then I am, far from the busy ways of men. I sit down alone: only God is here. In his presence I open, I read his Book; for this end, to find the way to heaven” (Bicentennial Edition, Vol. I, 105-106). Skipping to the third paragraph, “2004 General Conference ‘editors’ moved scripture to first and foremost on the quadrilateral. The next attempt will be to move to Sola Scriptura, ‘Scripture Alone.’ This is AWAY from John Wesley’s instructions.” This statement makes it appear as if placing Scripture above tradition, reason, and experience is a recent innovation. The reality is that most Wesley scholars see this as accurately correcting a misperception that arose from Outler’s articulation of the Quadrilateral. In other words, what was being altered was not Wesley’s theology, but Outler’s articulation of Wesley’s theology — so that it would be more faithful to Wesley’s own writing. 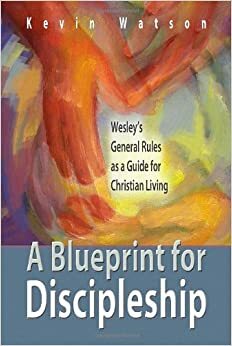 Any accurate understanding of Wesley’s view of the Bible must first start here, with a strong statement that Scripture alone is the authority for Christian faith and practice” (41). I am proud to be a part of the Oklahoma Conference and I give thanks for the voices in our Conference, and throughout our denomination, who are calling for United Methodists to reclaim our Wesleyan heritage. Unfortunately, the information that MUM is propagating at General Conference relating to Wesley’s relationship to the Quadrilateral is misleading and inaccurate. I hope that future publications will be more carefully researched and nuanced. I am stunned that the emphasis on Scripture is being described as a nefarious edit that goes against Wesley. I can’t believe that anyone who has done any reading about Wesley would assert such a thing. It smacks of the kind of distortion that you see in political campaign ads. Excellent post! I too find the frequent misunderstanding of the quadrilateral to be frustrating. As for the heart of the Methodist movement, I’d say it is holiness of heart and life or loving God with all your heart, soul, mind, and strength and loving your neighbor as yourself. Congratulations on the birth of your first child! I looked in my copy of John Wesley’s Forty-Four Sermons that is the standard for British Methodist ministers and local preachers, and quadrilateral isn’t mentioned there, either. Wesley, in his preface to the book, does mention the ‘man of one book’ statement he is famous for. What part of Oklahoma are you from? My grandfather pastored in Oklahoma for over 70 years. Good analysis, Kevin. When you get to SMU, ask Dr. Abraham how many missteps you can find in this particular M.U.M.er’s dance. Be sure you have a couple of hours. I’ve got a little sympathy for both interest groups, not the least because I have dear friends among them both. But no dialogue between them will ever happen as long as either or both of them insist the way to convince people of the rightness of their cause is to distort the other group’s position, points of view and motives. jmeunier – thanks for the comment. Steve – Thanks for the input on the heart of Methodism, very well said! Will – Thanks for the comment. I especially appreciate your perspective on British Methodism, an angle that is both enlightening and one that I had not thought about when writing this. Dee – I am currently pastoring in the Enid District. Brett – That would be a very interesting conversation to have with Dr. Abraham! I appreciate the reminder that there are great people in both of these groups. I want to be sure to clarify that my intent in writing this was not to belittle MUM, or take sides. As a member of the Oklahoma Annual Conference, I know many of the people who are affiliated with MUM and know them to be people of good faith and integrity. I have tremendous respect for those whom I have gotten to know well. So, my point was not to score points against MUM, but simply to clarify what I believe were several distortions regarding John Wesley and his relationship to the Quadrilateral. Just to add a note of agreement with everyone else: this is an excellent post. Thanks for setting the record straight about Wesley & the Quadrilateral. My husband has been studying Wesley as a part of his dissertation. Craig – Thanks for stopping by and for your kind words. Dee – Is your husband working on a PhD? Where? Kevin – Congrats on your ordination and your new beautiful child, Bethany! You served the people of Lamont UMC faithfully and I know you will do well at SMU – and I predict you’ll move into teaching! Being associated with MUM, I can say I appreciate your thoughtful and reasoned, if not academic, response to the quadrilateral article. I was not involved in the writing or editing of the paper, and saw it only after it went to press. The MUM paper is not intended to be an academic article (obviously) and to read it as such misses the point. The whole paper is in response to a very serious and concerted attack on the church by a non-United Methodist organization. I recommend Rev. Steven Martin’s expose video, “Renewal or Ruin: The IRD’s Attack on the United Methodist Church.” While I am not trying to excuse any arguable errors in detail that the paper or article in question might contain, I think it important that the context be understood. I believe the tenor of the article is sound, even if one wants to take academic issue with some of its claims. And again, I appreciate you holding MUM accountable. I look forward to you doing the same with material sponsored by the IRD. Most Methodists understand that Wesley didn’t use the term “quadrilateral.” That Outler coined the phrase regarding a certain Wesleyan way of making God-sense of the world does not mean it is not “Wesleyan.” It most clearly is according to our Discipline. (Didn’t Wesley add Experience to the 3 legs his Anglican church already had in place? – my memory is fuzzy; you’ll understand as you age) (As to the “intro” referred to and the “200 years,” I’m not exactly sure what the author had in mind). (It has been known as the “Wesleyan Quadrilateral,” erroneously or not in the Methodist circles I’ve run in for my 44 years. About 7 pages of the discipline are used to detail these guidelines for a Methodist way of theological reflection & witness. (I would point out that the article in question does call them “guidelines” as well.) I know you believe them important as you state. I believe attempts to discount them should be viewed skeptically. I don’t think it a stretch to say that this way of doing/being is “a” centerpiece of Methodism. It is, in fact, how we arrive at our mission of ”making disciples” and our “aim” (as you put it) of introducing people to and growing them in the faith. Moreover, it allows us to keep relevant and keep distance from prevalent fundamentalism. Finally, as to the place of Scripture in the Quadrilateral, I don’t believe anyone has an issue with the primacy of scripture; however there is concern with legalism and the growing fundamental tendency to “worship the book” rather than God. The quadrilateral’s reason, experience and tradition legs keep this in check. As you know, Wesley was NOT in the Sola Scriptura camp. I think the easiest evidence is Wesley’s work on abolishing slavery. In his lengthy published tract (in which he borrows very heavily from another author whose name I don’t’ recall) you will look long and hard for scriptural warrant against slavery supplied by Wesley. It is largely wanting because he knew that tack was a loser, as the Bible has many more warrants FOR slavery. Therefore, while I am no seminary professor or bishop, I would have to disagree with Scott Jones’ “strong” statement that, according to Wesley, “Scripture alone is the authority for Christian faith and practice.” Wesley’s treatment of slavery proves otherwise. (So does our ordination of women for us, arguably). This is not to say, of course, that scripture was not primary for Welsey, as it is for United Methodists; but it is to say that Scripture is also balanced by the other legs – for Wesley and for us. Well, I’ve wasted time frittering away here instead of doing what they pay me for. I bet you and Melissa are unpacking boxes as I type. God bless and continue holding all good Methodists accountable! Scott – Thanks for your comments and thanks for stopping by! Kirt – Thanks for taking the time to include a perspective from someone affiliated with MUM. I appreciated the conversation that we had at Annual Conference about this pamphlet and was grateful for your willingness to listen to my concerns and explain where you felt MUM was coming from in publishing it. We are continuing to try to get situated here in Dallas, so I will mostly let your comments stand as a charitable response from someone affiliated with MUM. I will say that after reading your comments, I did reread the original MUM piece, and while I think I have a better sense of where MUM was coming from in publishing it, I still have doubts about its usefulness. I intend all my remarks to be made in a spirit of Christian charity. This is a subject of deep interest to me, so I want to make a few clarifying (and possibly argumentative) points. With all due respect to Kirt, his response is a good example of why the loose use of the Quadrilateral is so dangerous. You simply can’t gloss over wide inaccuracies like the one’s in MUM’s newsletter by saying that it was not intended to be an academic piece. Academic or not, it is seriously inaccurate and that undercuts the claims that MUM is making. In addition to that, Kirt also perpetuates the myth that the Quadrilateral is embedded in the Wesleyan/Methodist tradition in some longstanding and inextricable way. For instance, he says that it has been known as the Wesleyan Quadrilateral in the circles he has run in for 44 years. I don’t know whether Kirt is 44 years old or if he has been a pastor for 44 years, but I can tell you with almost absolute certainty that the first time the word “quadrilateral” was printed in a Methodist document was in a report made by the Theological Study Commission (which Albert Outler chaired) in 1970 to the General Conference. That’s only 38 years ago. The report, which is titled, “An Interim Report to the General Conference,” describes Scripture, tradition, reason, and experience as “this quadrilateral of ‘standards'” (p.8). Nowhere does it describe it as the “Wesleyan Quadrilateral,” and in fact I do not know of anywhere where it is named as such in a Methodist doctrinal statement. It was not called a quadrilateral – Wesleyan or otherwise – in the 1972 Book of Discipline that first printed the new doctrinal standards, and it has not been named as such in the revised doctrinal statement that has been present in our Discipline since 1988. To say that “this way of making God-sense … most clearly is” Wesleyan is simply historically and theologically false, at least if we are referring to what this discussion takes to be the Wesleyan Quadrilateral. Before such rash statements are made, it would be helpful for Kirt or others to actually read the literature that is for and against the Quadrilateral. The closest our Discpline (2004) comes to saying what Kirt claims is found in a sentence in Par.104, p.77, which reads, “Wesley believed that the living core of the Christian faith was revealed in Scripture, illumined by tradition, vivified in personal experience, and confirmed by reason.” I will bracket off whether such a statement is technically accurate (the affirmation of which would require examination of what is meant by such words as ‘revealed,’ ‘illumined,’ ‘vivified,’ and ‘confirmed’), and only point out that it does refer to a “Wesleyan Quadrilateral” as such. The Quadrilateral as an abstract theological construct is what is at stake here; its existence is an unfortunate accident of history and its use in the present day would be unrecognizable to our man Wesley. Andrew – Thank you for your comment and thanks for stopping by!